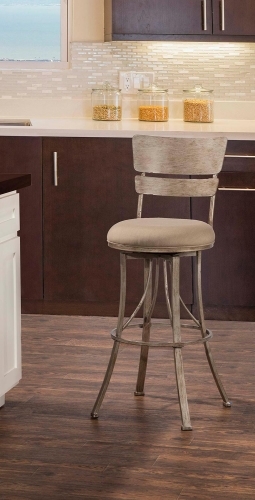 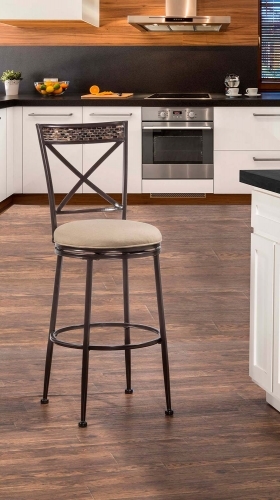 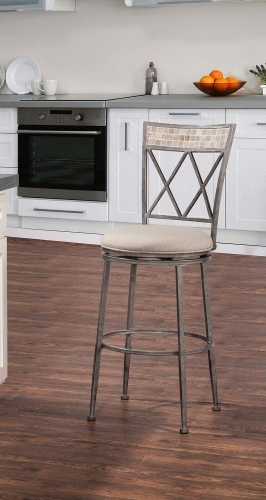 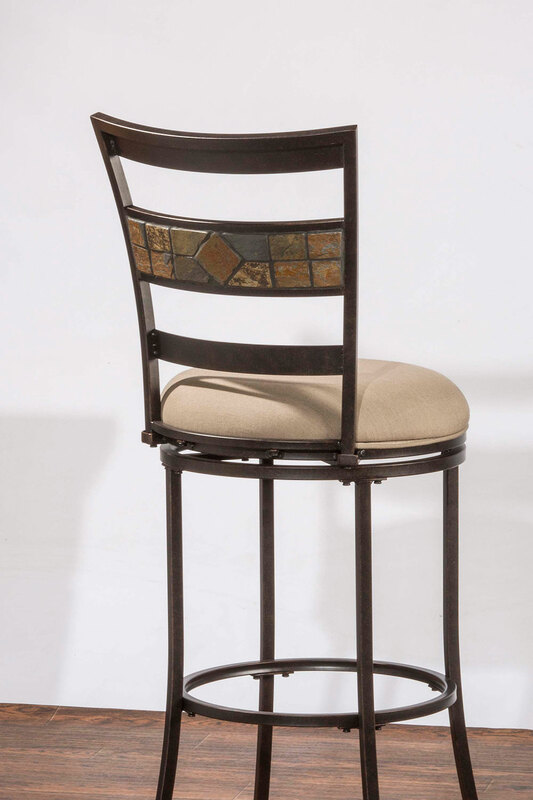 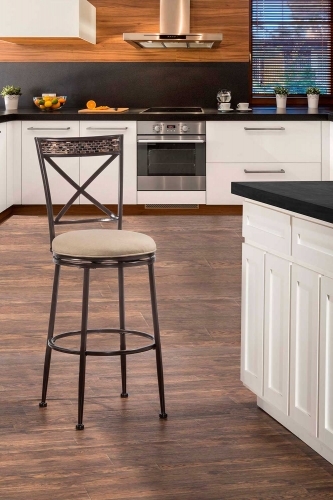 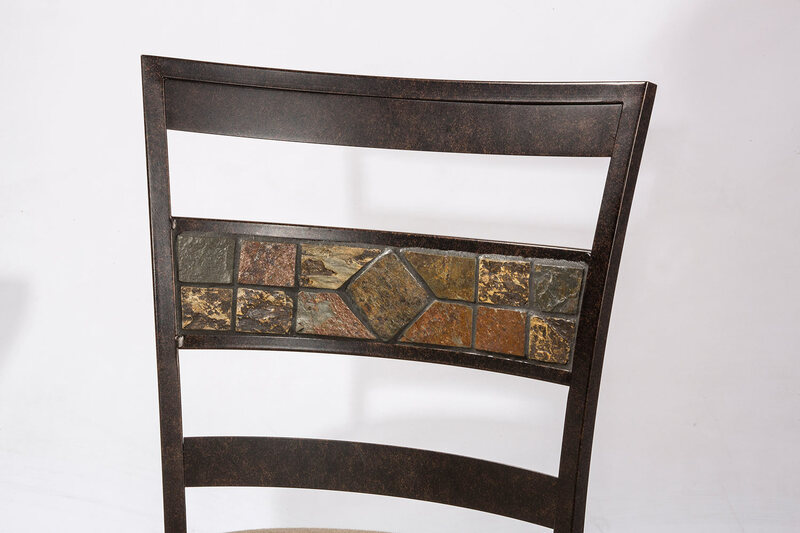 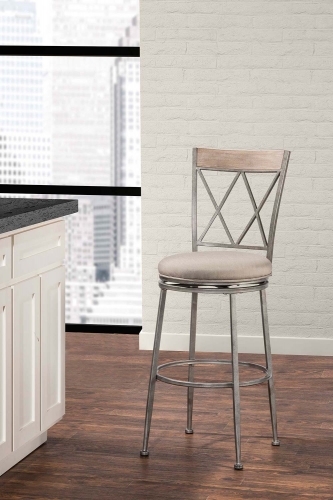 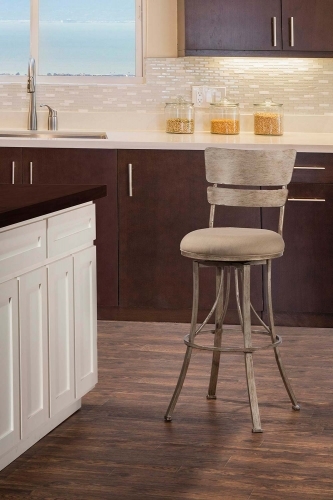 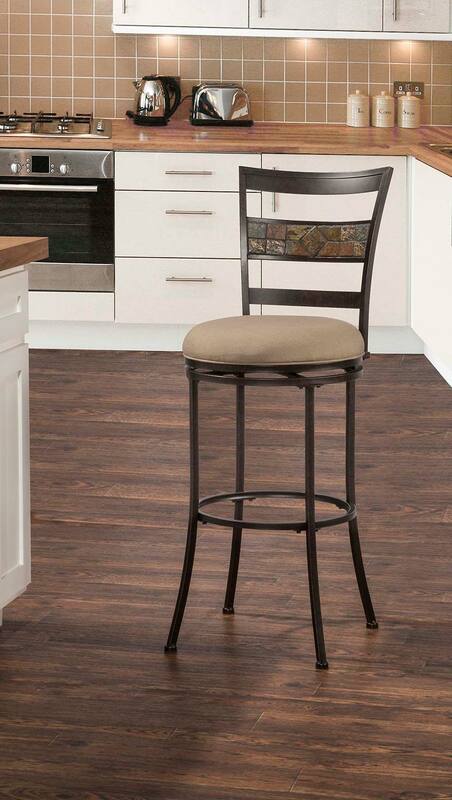 Beautifully designed with simple lines and a unique slate panel, the Henning Indoor/Outdoor Stool extends traditional style and comfort to your kitchen or patio for indoor or outdoor entertaining. 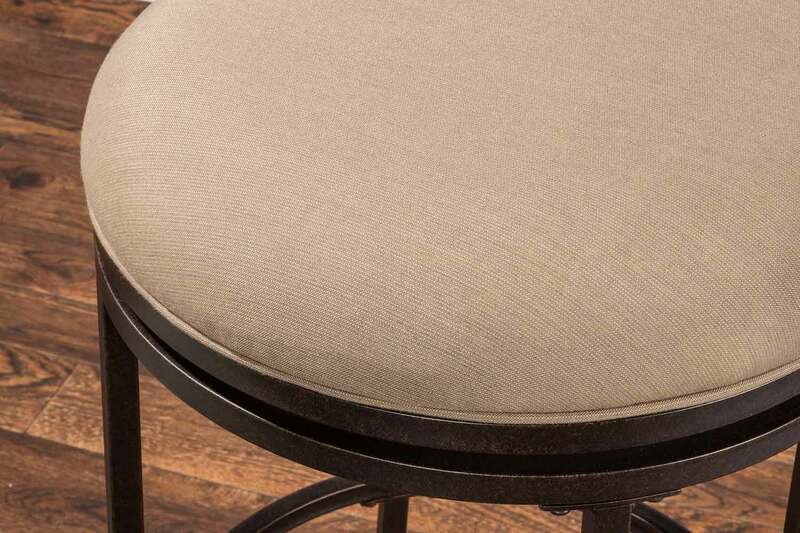 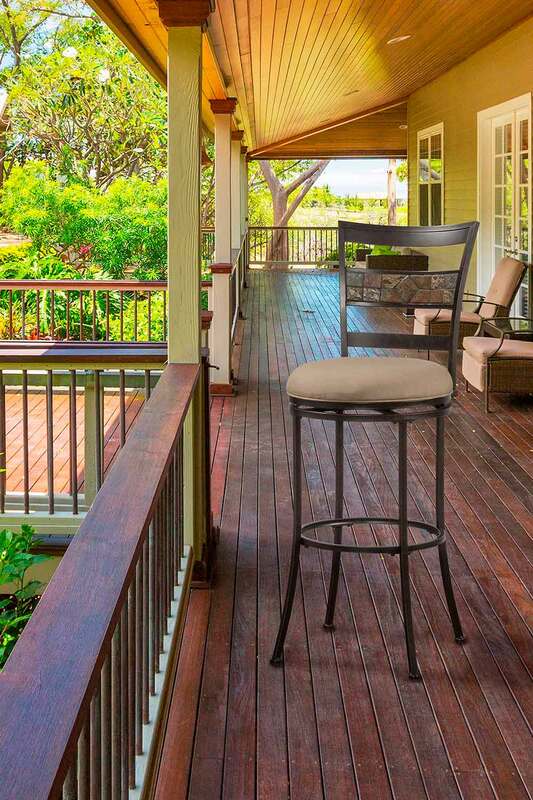 Boasting a heavy-duty steel frame, a rich Midnight Mocha powder coated finish for extra durability and protection against harsh UV rays, a 360-degree swivel mechanism, weather resistant Sunbrella Spectrum Mushroom fabric, and a reticulated quick dry foam seat, these durable and attractive stools are ideal for your indoor and outdoor spaces. 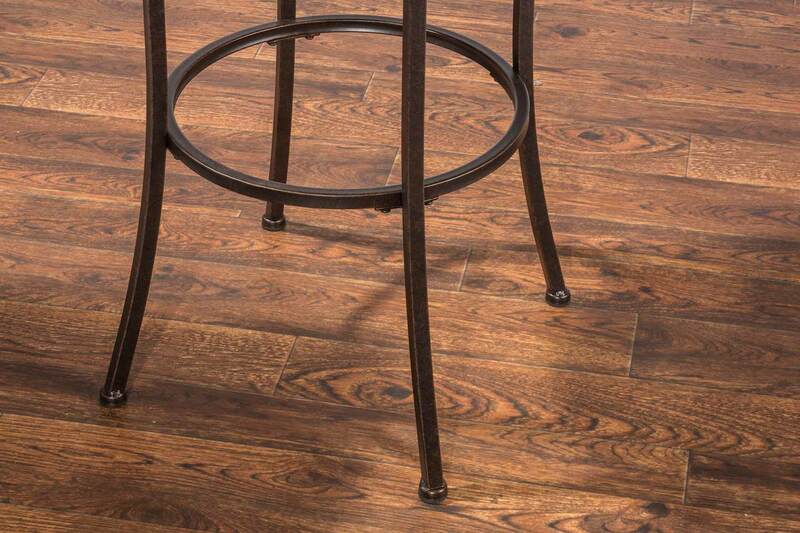 Available in bar and counter heights, some assembly required.